Reviewing ODA or China policy? This article benefited from the constructive criticisms of Dr. Peter Van Ness, the Contemporary China Center at the Australian National University, Dr. Isabelle Thireau, Centre d’Etudes sur la Chine Moderne et Contemporaine and Mr. Kinichi Komano, Japan’s Ambassador to Afghanistan. The author thanks Representative Yasuhisa Shiozaki for his co-operation with the interview. “In order to maintain and strengthen the security and prosperity of Japan, the maintenance of a peaceful environment is essential as, indeed above all, are the stability and prosperity of the East Asia region in which Japan is located. In order to achieve this, it is necessary to create an environment of co-operation in which no country in the region is isolated. It is desirable from Japan’s perspective to have a more open and more stable society in China that is willing and able to fulfil its responsibilities as a member of the international community ”2. 2That is, Japanese diplomacy has a concrete tool, which other western countries do not have, of its policy of engagement with China. In other words, ODA has been a vital element of Japan’s China policy. On the one hand Japan has tried to establish a solid foundation of economic interdependence between Japan and China through ODA, mainly invested in China’s construction of its economic infrastructure, which would be expected to contribute towards China becoming a “responsible power” in the international community. On the other hand, especially after the end of the Cold War, Japan has come to understand ODA as a form of sanctions3. Japan has twice suspended ODA to China: in 1989 following the Tiananmen incident; and in 1995, in response to China’s decision to continue nuclear testing. However in both cases, the suspensions were only symbolic as they had little material impact on the Chinese economy. From both of these perspectives, it seems sensible that Japan preserve ODA to China as a diplomatic tool of its policy of engagement policy. “If China becomes a major military power and a serious threat to Japan due to Japanese economic co-operation that eventually enables China to increase its military spending every year, the meaning of Japan’s ODA to China will surely come into question. … Behind China’s maritime activities lies Peking’s maritime strategy, which sees sea waters as a stage for China’s political, economic and military struggle to secure its interests and resources. Unless China changes that strategy, its maritime activities in waters surrounding Japan may continue. We want China to clearly explain this point to dispel concern”4. 4Japan’s Ministry of Foreign Affairs has more recently understood that there is “a need to listen to public opinion” and decided on May 11th 2000, that the ministry would set up the Advisory Group on Japan’s Economic Co-operation to China in the Twenty-First Century (Advisory Group) as a private advisory body to the director-general of the Economic Co-operation Bureau of Japan’s Ministry of Foreign Affairs in a process of development of the Country Assistance Programme to China supposedly to be concluded by the end of March 2001 based on “a great concern and critical opinion among Japanese people”5. Japan's ruling Liberal Democratic Party (LDP) also started to review Japan’s policy on ODA to China in September 2000 at the Small Committee on Evaluation of Economic Co-operation (Small Committee) and wrote the Generalisation and Guidelines of Economic Aid to and Co-operation with China (Guidelines) at the end of 2000. 5The purpose of this paper is to clarify the policy-making process for Japan’s policy on ODA to China. Relations between Japan’s Ministry of Foreign Affairs and the Liberal Democratic Party are central to understanding Japan’s present stance, and to posit a number of the issues which Japan will be faced with in the near future. 6The country assistance programmes are regarded as one of the government’s efforts to enhance the efficiency and transparency of ODA based on Japan's Medium-Term Policy on Official Development Assistance. Taking account of the political, economic and social situations in recipient countries, they outline Japan’s assistance plans for an approximate five-year period, incorporating both the plans and the issues that must be tackled in the development process. The Country Assistance Programme to China was supposedly to be written by the end of March 2001. Although the Programme was not drafted and announced by the end of March, the course of the programme had become obvious before then6. 7The Second Study Group on Country Assistance to China set up at Japan International Co-operation Agency (JICA) in August 1997 produced a final report in February 1999. The report pointed out that the ODA to China should prioritise the elimination of poverty, of differentials among regions and environmental protection. It concluded also that the ODA should be extended mainly to inland China7. Japan’s Ministry of Foreign Affairs made it clear in the Annual Report of the fiscal year of 1999, which reported to the Cabinet that the government would attach greater importance to projects of environment, agriculture and inland China8. The ministry did not have to set up the advisory body because the course of the Country Assistance Programme to China had already been made public before it decided to set up the Advisory Group. In response to mounting domestic criticism of the ODA to China recently, the ministry felt it necessary to take measures to develop a new assistance programme to China. 8Japan’s white paper on its ODA policy, published at the end of March 2001, admitted for the first time that there were “harsh views about (overseas) assistance to China” among the Japanese public, pointing out the need to “reconsider how the assistance should be given”9. The “harsh views” were caused mainly by a cooling of public feelings towards China. 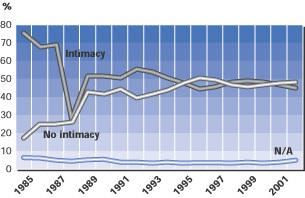 A poll reported in 1996 and 1997 by Japan's prime minister's office showed that the percentage of the Japanese who did not have feelings of friendship towards China exceeded the percentage of those who did10, while another poll in 2000 showed that a record 31% of the public thought Japan could be drawn into a war, up 10% from a 1997 poll, because of the delicate situation in the Korean Peninsula and the Taiwan Strait11. Although his visit to Japan in 1998 expected to ease Japanese pessimistic views of China, China’s President Jiang Zemin repeated condemnations of Japan over the wartime apology issue, along with ritualistic warnings of revived Japanese militarism, which did nothing to improve these views. 9Partly in response to these adverse trends, “harsh views” about Japan’s ODA to China have been on the rise since the end of the 1990s. China ranked second following Indonesia in terms of total ODA received, and first in recent years. Harsh criticism against Japan’s economic co-operation with China rose among the Japanese public, especially in 200012. Source: Naikakuhu Ddijinkanbou kouhoushitsu (Japanese prime minister’s office), Gaiko ni kansuru yoronchos (A poll on diplomacy), October 2002. Available from the homepage of the Japanese prime minister’s office (http://www8.cao.go.jp/​survey/​h14/​h14-gaikou/​images/​zu05.gif). 10The first “harsh view” insists that the ODA has enabled China to reinforce its military power and this may violate the principles of the ODA Charter decided by the cabinet on June 30th 199213. Taro Kohno, a LDP congressman in the House of Representatives, pointed out in the House Committee on Foreign Affairs: “If China is in the process of increasing its strategic nuclear missiles, Japan must make a different diplomatic policy in which its ODA policy towards China must be reconsidered”14. 11The second “harsh view” stems from public discontent in Japan that China has shown little gratitude for the ODA. Japanese Ambassador to China Tanino Sakutaro pointed out that a “harsh view among the Diet and newspapers” to the Chinese side in Peking arose when both governments signed the Loan Aid Exchange of Notes in the fiscal year of 1999 on March 27th 2000. He also requested that, “China should tell the Japanese that Japan’s assistance in the past twenty years has been useful to China’s economic development”15. Yan Wenchang, vice-minister of foreign affairs of the PRC, responded to Tanino’s request, saying, “We highly value the role of Japan’s Yen Loan to China in contributing to the building of our economy”. In spite of Yan’s remarks, at the Special Committee on Overseas Economic Co-operation of the LDP held on March 29th 2000, some members of the committee showed dissatisfaction with his use of the phrase “highly value”. Shinzo Abe, a member of the committee and the House of Representatives, said, “China recognises Japan’s ODA as a sort of a compensation”. Strong dissatisfaction of a lack of expressed appreciation was voiced in the committee16. 12The third “harsh view” is based on the fact that China is now expanding its aid to third countries. Sankei Shimbun on May 14th 2000 reported this issue with the headline, “China’s Strategic Aid is growing steadily”. Sankei Shimbun on July 17th 2000 reported this again on the front page, insisting that they could not help being sceptical about Japan’s offering ODA to China based on the fact that China’s ‘strategic aid’ has reached six billion Japanese yen a year to fifteen developing countries17. Review of Japan’s ODA to China has been insisted upon in the Diet and the LDP based also on China’s strategic aid. At a plenary session of the House of Councillors on September 26th 2000, Yoshitada Konoike, a member of the LDP and the House of Councillors, said, “China gives six billion yen in aid to fifteen developing countries. We should reconsider what our ODA to this country should be”18. 13The Japanese public is critical of their country’s ODA to China for a number of reasons. 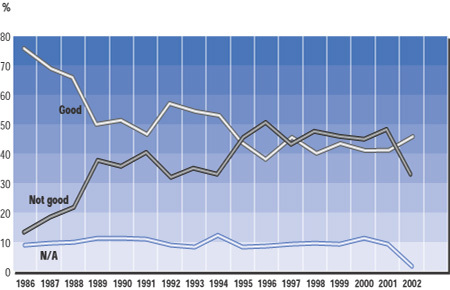 In the first half of 2000, they especially regarded it as contravening a principle of the ODA Charter that full attention be paid to trends in recipient countries’ military expenditures, their development and production of weapons of mass destruction and missiles, arms exports, and to extending ODA such that it might strengthen the recipient country’s military power. “At a committee of the LDP held this morning, it was pointed out that China’s growth in military expenditure which was made public at the National People Congress, exceeds greatly the economic growth rate. They discussed this seriously with regard to Japan’s ODA Charter ”19. 15Japanese foreign minister Yohei Kono also expressed concern over China’s increasing defence budget, saying that Japan would review its ODA to China following criticism in Japan about aid offered to this country with a booming economy in his meeting with Chinese foreign minister Tang Jiaxuan on May 10th 2000 in Tokyo20. 16The LDP’s foreign and related panels required the foreign ministry to convey this intention to review its ODA to China to the Chinese side immediately before the foreign ministerial talks. At the sectional meeting, some members criticised China’s active saving of money to buy more military expenditure owing to Japan’s ODA21. “We are not certain of the detail of China’s overseas aid.” “We are wondering if Japan is in a position to criticise since we also extended assistance to developing countries with a loan from the World Bank. Malaysia and Singapore have also recently started to extend assistance [after receiving ODA from Japan]”22. 18Mounting domestic criticism of the ODA given to China arose not only among the public but also in the Japanese political arenas, and reflected Japanese frustration with China’s rapid military modernisation. But the Japanese foreign ministry was unable to deal with public frustration. 19A factor that accelerated Japan’s review of its ODA policy towards China was, as already mentioned, the increased activity of Chinese intelligence-gathering ships and naval vessels around Japan at the end of the 1990s. It is assumed that the Haibing-723 that passed through the Tsushima and Tsugaru Straits investigated Japanese military information in its circuit of Japan. Dongdiao-232, another naval intelligence-gathering vessel, was in operation off the Irako Promontory and the Kii Peninsula to the south in July 200023. 21However, Japan's complaint about the ships was rejected by China, which said, "There is no problem." Neither has China complied with a request to gain prior approval to carry out marine research. 22Two weeks after the first meeting of the Advisory Group, the Japanese government decided to offer “special low-interest yen loans” totalling 17.2 billion yen (US$159 million) to China for two projects. The Japanese foreign ministry explained that to extend “special yen loans” to China did not contradict the review of ODA to China because the “special yen loans” to Asian countries affected by the Asian financial crisis in late 1997 came under a separate heading, and the projects under such a loan would be subject to environmental protection and inland development27. In addition it is important to note that it is compulsory for recipient countries of the special loan to supply a half of the amount of the loan extended by Japan. Keidanren (Japan Federation of Economic Organisations) telephoned Yasuhisa Shiozaki, chairman of a sectional meeting of the LDP on foreign affairs saying, “it is necessary to offer the special yen loan to China for the sake of Japan’s national interest”28. Not a few LPD members also supported this view. 23The Japanese foreign ministry explained the plan to extend a “special yen loan” to China at a special committee on overseas economic co-operation of the LDP on August 2nd 200029. A number of the members, however, criticised the government’s plan to offer the loan to China considering the Chinese activity around Japan’s territorial waters30. Yutaka Iimura, Director-General of the Economic Co-operation Bureau of the foreign ministry, stressed the significance of ODA, calling it a “linchpin of Japan-China co-operation” at an executive meeting on foreign affairs of the LDP held on August 3rd 2000. Despite this, the LDP did not give its permission for a special yen loan to be offered to China. Keizo Takemi, a member of the House of Councillors, pointed out at the meeting that a series of documents about the activities by Chinese intelligence-gathering ships and navel vessels was pressure on Japan to stop its economic co-operation with China. 24The foreign affairs and related panels of the LDP held on August 8th 2000, came to a consensus on the activities of these ships and naval vessels, concluding that they “threatened Japanese sovereignty”. The LDP required the foreign ministry to reconsider how the ODA to China should be set in motion, and the offering of a special yen loan. The panel also decided on the setting up of another sectional meeting to study Japan’s economic co-operation with China31. The foreign and related panels of the LDP held on August 9th 2000 heard a number of criticisms and anger about the government’s plan to extend the loan. Some members however insisted that the government’s course should continue. The LDP could not agree about the loan. Chairman Shiozaki, at a sectional meeting on foreign affairs, proposed that foreign minister Kono would convey the critical atmosphere among LDP members in his visit to China at the end of August and the LDP would have another consultation after the foreign minister’s visit32. The LDP considered the issues on the special yen loan to China at August 24th foreign affairs panels. The panel concluded that the activities of the Chinese ships were an “issue relating to national security” and decided to postpone the approval for a special yen loan33. Furthermore, a LDP sectional meeting on foreign affairs handed over a letter to minister Kono, which required that he convey the Japanese anxiety about Chinese naval activities around Japanese territorial waters. 25The Japanese foreign ministry responded to the LDP’s criticism saying, “We have never begun any procedure for a special yen loan during the foreign minister’s visit.” According to Hidenao Nakagawa, chief cabinet secretary in the Japanese government, however, the government would never change the course of extending the loan to China34. Japanese foreign minister Kono was also unwilling to change it, “I will not overlook today’s problems, but we should not overreact. We should sit down and talk”35. In view of the unsettled atmosphere in the party, foreign minister Kono conveyed this concern and anxiety to China’s foreign minister during his visit to Peking at the end of August. During the talks, Kono also demanded that China enhance the transparency of its assistance to third countries and Chinese security policy. As for the issues of Chinese intelligence-gathering ships, both ministers agreed that the two sides would build a framework of giving prior notice. 26Some members in the LDP tried to cool criticism of ODA to China. After the foreign minister’s visit to Peking, foreign and related panels of the LDP were held on September 7th. Muneo Suzuki, a representative, supported offering the loans to China, “an appropriate person in China agreed to build a ‘framework of prior notice’. Japan already promised to offer special yen loans to China”36. Further refutation of the criticism of ODA to China, based on China’s wish to sponsor the Commemoration of Twenty Years of Economic Co-operation Between Japan and China sponsored by the Chinese government in October 2000 was also expressed at the meeting37. “To develop an item-by-item discussion on what our economic co-operation with China should be, contributes to deepening our general understanding of the nature of the Japan-China relationship”39. 28Japan’s foreign ministry began to actively cool criticism of ODA to China from October 2000. This was necessary in view of China’s wish to sponsor the Commemoration of Twenty Years of Economic Co-operation Between Japan and China, and also for China’s premier Zhu Rongji’s visit to Japan in the same month. The commemoration ceremony sponsored by Chinese government was held in Peking on October 8th 2000. Chinese Councillor Wu Yi addressed the Commemoration stating at the ceremony “on behalf of the Government of China, I would like to express my gratitude to the Government of Japan for the support extended for the construction of the Chinese economy”. Zhu made reference to Japan’s role in furthering China’s economic modernisation to Mr Nonaka, the secretary-general of the LDP who had also joined the ceremony. Zhu also stated that China would strengthen publicity about Japan’s ODA to China and its gratitude to Japanese prime minister Mori when he visited Japan. 29Muneo Suzuki, a deputy chairman of a special committee on overseas co-operation, reported the visit by the secretary-generals of the LDP to China at the panels on foreign affairs on October 11th 2000. He stressed the significance of the ODA to China by referring to Zhu’s remarks40. The Japanese foreign ministry also explained the scheduled visit to Japan by Zhu at the joint meeting. The ministry explained that the aim of Chinese Premier’s visit was to cement the Japan-China partnership of friendship and co-operation and to settle a series of troublesome issues such as the Chinese intelligence-gathering ships. After Zhu’s visit, the LDP convened foreign affairs and related panels on October 15th 2000. The Japanese foreign ministry explained the significance of Zhu’s visit to Japan as Japan-China friendship on the basis of the framework of prior notice41. 30With criticism of ODA to China cooling to some degree, the foreign ministry and the LDP began concrete discussions on conduct the reports. The fourth meeting of the Advisory Group was held at the end of September. Yutaka Iimura, Director-General of the Economic Co-operation Bureau of the foreign ministry, showed a proposal for the recommendations at the meeting. After this meeting, members of the group discussed mainly priority issues and focus areas of Japan’s ODA policy towards China as well as the current status of Japan-China relations and the outlook for the future. 31A public concern about the recommendations of the advisory group was whether the amount of ODA to China would be reduced. Iimura at the fifth meeting of the advisory group remained deliberately vague, “the LDP is discussing Japan’s economic co-operation”, and “I feel it is difficult to conclude the recommendations without referring to the amount”42. Again, at the sixth meeting, he said that a focus of the recommendations was the amount of ODA to China. Tokyo Shimbun on October 18th 2000 reported in its morning paper that the government had made a decision to reduce by 10% to 20% the ODA to China. In response Iimura emphasised that any decision to reduce the ODA to China would be made by the Japanese government. “The government is now aiming to develop the Country Assistance Programme to China. We will settle a way of considering the amount during the development process”43. Although the Japanese foreign ministry felt it difficult to conclude a recommendation without referring to the amount, Iimura preferred not to make public the recommendations about cutting ODA to China because the ministry regarded the ODA as a “linchpin of Japan-China co-operation”. 32Japan feared Chinese anger if it made public the reduction on the grounds of Chinese military and diplomatic issues44. 33Yet, on November 9th 2000, Sizuka Kamei, the Chairman of the Policy Affairs Research Council of the LDP, suddenly proposed reducing the ODA budget across the board by approximately 30%. The foreign affairs and related panels of the LDP held on November 14th tabled the “Kamei Remarks” as a main agenda for discussion. At this meeting, the deputy-chairman Tanitsu explained that the remarks intended that ODA should consider public opinion, the economic and fiscal situation, and the national interest45. While a number of participants criticised the remarks for being unexpected and proposed without prior consultation, the majority supported review and reduction. Katsuto Asano, a parliamentary vice-minister of foreign affairs, stressed the importance of ODA as a “diplomatic tool” by stating, “Japan is a trading country. For our country, promoting world peace and the free trade system contributes to our national interest. The aim of expending ODA is right”. 34At the end of November 2000, the advisory group concluded an original plan of the recommendations and reported it at a joint meeting on foreign affairs of the LDP on November 29th. The group and the foreign ministry considered how to determine the amount of ODA to be offered to China, as well as six focus areas in economic co-operation with China, making the deciding factor for the level of ODA comprising of yen loans, grant aid and technical co-operation the so-called “projects accumulation formula”, but without previous levels being a prerequisite in this decision. In other words, according to the final recommendations by the advisory group, “while responding to new requirements to aid in China, it is appropriate to examine and implement each individual project requested, with a focus on the priority areas and issues as outlined in the following section, taking into consideration the severe economic and fiscal situation Japan currently faces”46. 35Paying attention to this original plan of the recommendations and the so-called “projects accumulation formula”, the evening edition of Nikkei Shimbun on November 29th and the morning edition of Asahi Shimbun and Sankei Shimbun on November 30th reported that the government would reduce the amount of ODA to China47. Yutaka Iimura stressed that the foreign ministry was considering the “projects accumulation formula” in a round-table discussion with the press on November 30th 2000. He explained that the amount of ODA to China could increase and decrease on the basis of the “projects accumulation formula”48. Graph 2: Good sino-Japanese relations ? 36Responding to the Kamei remarks, a joint meeting on foreign affairs of the LDP held on December 7th 2000 discussed the ODA budget for the fiscal year of 2001 and came to a consensus to conclude a report on Japan’s economic co-operation to China. The December 7th meeting was led by the representative Muneo Suzuki who had become a deputy-chairman of the special committee on overseas economic co-operation owing to the fact that Chairman Seishiro Eto had been transferred to a parliamentary vice-minister of foreign affairs and drastic criticism was dormant49. The importance of the economic co-operation to China was agreed on the whole, with “some problems” referring to a series of criticisms50. The leaders of the ruling parties agreed on a position built by the ruling parties’ project team to scale reductions in the ODA budget51. Japan’s ruling LDP demanded in a top-level meeting of the government and the ruling parties that the loan be cut by more than 3%, to meet this scale52. The Small Committee concluded an original plan for the Guidelines in the first week of December 2000, and Chairman Keizo Takemi reported the original plan at the LDP’s foreign affairs and related panels on December 15th. The joint meeting basically agreed on the original plan though two passages noting Japan’s co-operation with Chinese agriculture and forestry were amended53. 37The Guidelines says in their introduction, “ODA is an aid which comprises a part of Japan’s co-operation (with China)”. The PLD had reviewed not only Japan’s ODA to China but also a series of “co-operation” policies: an untied loan by the former Export-Import Bank of Japan (JEXIM); the use of Japanese public funds supplemented by NEDO to subsidise environmental protection in China. The report also insists that “aid and co-operation” to China provided by these funds have achieved the basic goal, which was stated to be to “develop the (Japan-China) economic relationship focusing on the private sectors”. The report highlighted the necessity for “an ongoing evaluation” of ODA to China based on public opposition to its continuation revealed by the review process. According to the report such an evaluation would cover security issues. The LDP thus clearly positioned ODA to China not merely as “aid” but as an integral part of Japan’s foreign and security policy54. 38On the other hand, the Advisory Group had its final (9th) meeting on December 15th 2000, when the chairman Isamu Miyazaki, special advisor to Daiwa Institute of Research (former minister of state for the Economic Planning Agency), handed in the recommendations for the coming five-year term to foreign minister Kono55. Although the Group “conducted a comprehensive review of Japan’s ODA to China, begun in 1979 on a cumulative basis, the subject of the review was actually only “ODA to China in the Twenty-First century”. The recommendations clearly state that, “even as Japan continues to extend ODA to China, efforts should be made to ensure co-ordination with other types of public funds and also with private-sector capital in order to ensure even greater efficiency and effectiveness in achieving the goals of Japan’s co-operation with China”, but the subject of the review is limited to ODA to China in general. The recommendations consider the aim of extending ODA to China in the late 1970s as being “from the view that supporting China’s opening and reform policy would promote the stability and prosperity not only of Japan, but also of the Asian region and the world as a whole”, and stressed the need to “encourage China’s enhanced participation in the international community and to assist it in progressing towards open society through such assistance” (ODA). They make no reference to the degree of achievement of the aims set in the starting point to extend the ODA to China. “Japan and China have agreed to the establishment of a new partnership through which they will move beyond the stage of bilateral “good-neighbourliness and friendship” and they will co-operate to resolve various issues facing the East Asian region and the entire international community. In fostering this partnership, it is extremely important to also achieve concrete results through ODA. For example, Japan promotes a so-called South-South co-operation, through which it works together with nations such as Singapore, Malaysia and Thailand to assist other developing countries. Similarly, together with China, Japan should co-operate in assistance to third party countries in Africa and elsewhere. For example, by making use of the achievements that Japan has made in focused support for human resources development centres such as the Japan-China Friendship Hospital”. 40THE CHINESE gave no negative reaction to the series of Japanese discussions on the review of ODA to China. Regardless of China’s positive attitude to ODA, Japan’s move towards reviewing its ODA to China was inevitable. This may imply a discrepancy in the evaluation of Chinese status by the LDP and the Ministry of Foreign Affairs. 41Japan’s Ministry of Foreign Affairs is doing all it can to preserve ODA to China as a diplomatic tool of its engagement policy, explaining that China is still a developing country where the priorities are poverty alleviation, environmental protection, and so on. The Japanese foreign ministry does not deny that China is an “emerging power”, yet in the foreseeable future China will remain a developing country needing economic assistance from Japan. The Japanese foreign ministry has not expressed the standard neither to the LDP nor to the Japanese public, by which China would graduate to become a developing country. 42According to Japan’s 2001 Economic Co-operation Programme for China, “China achieved an average real GDP growth rate of 9.6% a year in the twenty-one-year period from 1979 to 1999, and emerged as the seventh largest country in the world in terms of GDP”. It may be understood from this that Japan’s ODA contributed greatly to the growth of the Chinese economy. In response to this situation of an “emergent China”, Japan-China relations are no longer able to be labelled as being between “donor-recipient countries”. The LDP has as a result required the foreign ministry to change the title of the new ODA plan from Country “Assistance” Programme to Economic “Co-operation” Programme, because the party does not evaluate China as a developing country that needs economic assistance from Japan. That is, the Japanese foreign ministry reviewed conditions in order to extend ODA to China as a developing country and the LDP began a review of the whole of Japan’s policy to China as an emerging power. 43It is hard to deny the importance of developing a stable and co-operative relationship with China. The LDP asked, what sort of future scenarios with China would be desirable for Japanese national interests. Based on this, the party tried to develop a new national policy towards China as an “emerging power” focusing on economic co-operation. The foreign ministry must therefore reconsider not only ODA but also its policy towards China in the near future. Since Japanese prime minister Keizo Obuchi and Chinese president Jiang Zemin now share a common view, the basic framework of Japan-China relations have already shifted from one of mutual “good neighbour and friendship” to a new “partnership of friendship and co-operation” for peace and development in Asia56. Asian countries as well, hope both countries will contribute to Asian peace and development in an age of globalisation. In both Japan and China, however, public support for a new partnership seems fragile. What response officials in Tokyo and Peking will give after the review of Japan’s ODA to China must be a test case for whether Japan-China relations can move beyond the stage of “good neighbour and friendship” to a new partnership and whether the Japanese government can rebuild public support for it. 1 “Ohira souridaijin no chugokuhomon ni kansuru kyodo shimbun happyo”(Joint press communiqué on Prime Minister Ohira’s visit to China), December 7th 1978, in Gaimusho (Japanese Ministry of Foreign Affairs) ed., Waga gaikou no kinkyo (Blue paper on Japan’s Foreign Policy), Vol. 24, 1980, pp. 422-424. 2 Japanese foreign ministry, Economic Co-operation Programme for China (October 2001). Available from the homepage of Japanese foreign ministry (http://www.mofa.go.jp/policy/oda/region/e_asia/China-2.html). 3 See for example, Peter Van Ness, “Understanding Japan’s ODA as International Sanctions: The Case of Sino-Japanese Relations”, in Tatsuro Matsumae and Lincoln C. Chen eds., In Pursuit of Common Values in Asia: Japan’s ODA Charter Re-evaluated, Tokyo, Tokai University Press, 1997, pp. 195-213. 4 Yomiuri Shimbun (editorial), October 14th 2000. 6 The Country Assistance Programme to China was drafted and announced on October 22nd 2001 by the Japanese foreign ministry. Yet the title of the programme changed to the “economic co-operation plan to China” based on LDP’s request. 7 Chugoku kunibetsu enjo kenkyukai hokokusho(Dai ni ji) (Final report by the second study group on country assistance to China), (Tokyo: Okurasho Insatsukyoku, February 1999), pp. 31-62. 8 Gaimusho (Japanese Ministry of Foreign Affairs), Waga kuni no seifu kaihatsu enjo no jisshijokyo: senkyuhyakukyujukyu nendo ni kansuru hokoku (annual report of official development assistance: the fiscal year of 1999), Tokyo, Okurasho Insatsukyoku, October 2000, p. 36. 9 Gaimusho keizai kyoryo kukyoku (the Economic Co-operation Bureau of Japanese Ministry of Foreign Affairs) ed., Wagakuni no seifukaihastuenjo (Japan’s official development assistance), first volume, Tokyo, Kokusai suishin kyoukai, 2001, p. 70. 10 Sourifu Naikakusoridaijin kanbo kohoshitsu (Japanese prime minister's office), Gaiko ni kansuru seronchosa (A poll on the diplomacy), October 1997, pp. 49-50. 11 Yomiuri Shimbun (editorial), May 22nd 2000. 12 Sourifu Naikakusouridaijin kanbo kohoshitsu ed., ibid., pp. 69-70. See, Yoshihisa Komori, “Machigaidarake no taichu enjo” (Japan’s aid toward China with a number of mistakes), Chuho Kouron, Vol. 115, No. 4, May 2000, pp. 94-109. 13 The following four points are stated as principles in implementing ODA: 1) Environmental conservation and development should be pursued in tandem; 2) Any use of ODA for military purposes for aggravation of international conflicts should be avoided; 3) Full attention should be paid to trends in recipient countries’ military expenditures, their development and production of weapons of mass destruction and missiles, and their exports of arms; and 4) Full attention should be paid to efforts to promote democratisation and the introduction of a market-oriented economy, as well as the situation regarding the securing of basic human rights and freedoms in the recipient countries (Cabinet Decision on June 30th 1992). 14 Kanpou (gougai): dai hyakuyonjunana kai kokkai shugiin gaimu iinkai kiroku (Gazette (extra volume): the minutes of the House committee on foreign affairs, 147th Diet), No. 2, March 22nd 2000, pp. 3-4. 15 “Denshin dai senyonhyakurokujuichi: taichu enshakkan” (“official telegram, No. 1461: Yen Loan to China”), (March 27th 2000), and “FAX koshin F dai sanzenroppyakuhachijuroku gou: taichu ensyakkan” (FAX (F- No. 3686): Yen Loan to China), May 14th 2001. The author claimed the Japanese Ministry of Foreign Affairs made public the telegram and fax on May 8th 2001. The ministry decided to make public them on June 1st 2001(Claim number: 2001-01029). 16 Sankei Shimbun, March 30th 2000. 17 Sankei Shimbun, May 14th 2000; Sankei Shimbun, July 17th 2000. 18 Kanpou (gougai): dai hyakugoju kai kokkai sangiin honkaigi kaigiroku (Gazette (extra volume): the minutes of the plenary session of the House of Councillors, 150th Diet), No. 2, September 26th 2000, p. 10. 19 “Denshin dai sengohyakuju go: taichu musho shikin kyoryoku” (A telegraph, No. 1510: grant assistance to China), March 29th 2000. The author claimed the Japanese Ministry of Foreign Affairs made the telegram public on May 8th 2001. The ministry decided to make it public on June 1st 2001 (Claim number: 2001-01028). See also Sankei Shimbun, March 30th 2000. 20 Yomiuri Shimbun, May 11th 2000. 21 Asahi Shimbun, May 12th 2000; Mainichi Shimbun, May 13th 2000. 22 “Nijuich seiki ni muketa taichu keizai kyoryoku no arikata ni kansuru kondankai: dai ni kai kaigo, kiroku” (The advisory group on Japan’s economic co-operation to China in the 21st century: the minutes of the second meeting). The author claimed the Japanese Ministry of Foreign Affairs made public the minutes on April 2nd 2001. The ministry decided to make them public on May 2nd 2001 (Claim number: 2001-01001). 23 Boei kenkyusyo (The national institute for defence studies) ed., Higashi aziya senryaku gaikan, 2001 (East Asian security review 2001), Tokyo, Boeicho Boei Kenkyusho, 2001, pp. 153-155. 24 Yomiuri Shimbun, June 20th 2000. 25 Sankei Shimbun, June 20th 2000. 26 Yomiuri Shimbun (evening edition), July 29th 2000. 27 Nikkei Shimbun, August 3rd 2000. 28 Author’s interview with Yasuhisa Shiozaki, a member of LDP and the House of Representatives, Tokyo, May 10th 2000. 29 Tokyo Shimbun(evening edition), August 9th 2000. 30 Nikkei Shimbun, August 3rd 2001. 31 Sankei Shimbun, August 9th 2000; Asahi Shimbun, August 9th 2000. 32 Nikkei Shimbun (evening edition), August 9th 2000; Tokyo Shimbun (evening edition), August 9th 2000. 33 Jiyu Minshu (A bulletin of the LDP), No. 1970, September 5th 2000. 34 Asahi Shimbun (evening edition), August 24th 2000. 35 Tokyo Shimbun(evening edition), August 9th 2000. 36 Asahi Shimbun, September 8th 2000. 37 Author’s interview with Yasuhisa Shiozaki, a member of the LDP and the House of Representatives, Tokyo, May 10th 2000. 38 Jiyu Minshu, No. 1972, September 19th 2000. 39 Jiyu Minshu, No. 1973, September 26th 2000. 40 Jiyu Minshu, No. 1977, October 24th 2000. 41 Jiyu Minshu, No. 1978, October 31st 2000. 42 “Nijuich seiki ni muketa taichu keizai kyoryoku no arikata ni kansuru kondankai: dai go kai kaigo, kiroku ” (The advisory group on Japan’s economic co-operation to China in the 21st century: the minutes of the fifth meeting). The author claimed the Japanese Ministry of Foreign Affairs made public the minutes on April 2nd 2001 (claim number: 2001-01001). 43 “Nijuichi seiki ni muketa taichu keizai kyoryoku no arikata ni kansuru kondankai: dai roku kai kaigo, kiroku ” (“the advisory group on Japan’s economic co-operation to China in the 21st century: the minutes of the sixth meeting”) The author claimed the Japanese Ministry of Foreign Affairs made public the minutes on April 2nd 2001, (claim number: 2001-01001). 45 Jiyu Minshu, No. 1982, November 28th 2000. 46 “Nijuichi seiki ni muketa taichu keizai kyoryoku no arikata ni kansuru kondankai teigen” (The recommendation by the advisory group on Japan’s economic co-operation to China in the 21st century), December 2000. Available from the homepage of Japanese Ministry of Foreign Affairs, http://www.mofa.go.jp/mofaj/gaiko/oda/seisaku/seisaku_1/sei_1_13_4.html. 47 Nikkei Shimbun (evening edition), November 29th 2000; Asahi Shimbun, November 30th 2000; Sankei Shimbun, November 30th 2000. Yomiuri Shimbun on November 30th reported, “The recommendation will not refer to the reduction according to the ‘projects accumulation formula’”. 48 Author’s interview with a reporter for Nikkei Shimbun, Tokyo, May 8th 2001. 49 Mainichi Shimbun, December 8th 2000. 50 Jiyu Minshu, No. 1985, December 19th 2000. 51 Mainichi Shimbun, December 9th 2000; Sankei Shimbun, December 9th 2000. 52 Yomiuri Shimbun, December 13th 2000. 53 “Juni gatsu jugo nich: Chugoku ni taisuru keizai enjo oyobi kyoryoku no sokatsu to shishin torimatome to happyo” (The concluding and announcement of the generalisation and guidelines on economic aid and co-operation with China). Available from Councillor Keizo Takemi’s homepage at: http://www.takemi.net/cont/news/cont_main.html; Asahi Shimbun, December 16th 2000. 54 Taigai keizai kyoryoku tokubetsu iinkai keizai kyoryoku hyoka shoiinkai (the small committee on the evaluation of economic co-operation in the special committee on overseas economic co-operation), “Chugoku ni taisuru keizai enjo oyobi kyoryoku no sokatsu to shishin”(The Guidelines), December 15th 2000. Available from the homepage of the Liberal Democratic Party at http://www.jimin.or.jp/jimin/saishin00/pdf/seisaku-033.pdf. 55 “Nijuichi seiki ni muketa taichu keizai kyoryoku no arikata ni kansuru kondankai teigen no happyo ni tsuite” (On publication of the recommendation by the advisory group on Japan’s economic co-operation to China in the 21st century), December 2000. Available from the homepage of the Japanese Ministry of Foreign Affairs at: http://www.mofa.go.jp/mofaj/gaiko/oda/seisaku/seisaku_1/sei_1_13_1.html. 56 “Japan-China Joint Declaration On Building a Partnership of Friendship and Cooperation for Peace and Development”, November 26th 1998. Available from the homepage of the Japanese Ministry of Foreign Affairs at: http://www.mofa.go.jp/region/asia-paci/china/visit98/joint.html.